A delicious & traditional cinnamon sugar filling with our incredible house-made cream cheese icing. Baby included! 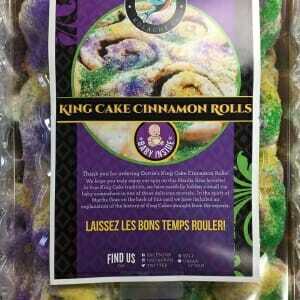 Bring a taste of New Orleans right to your home or office! 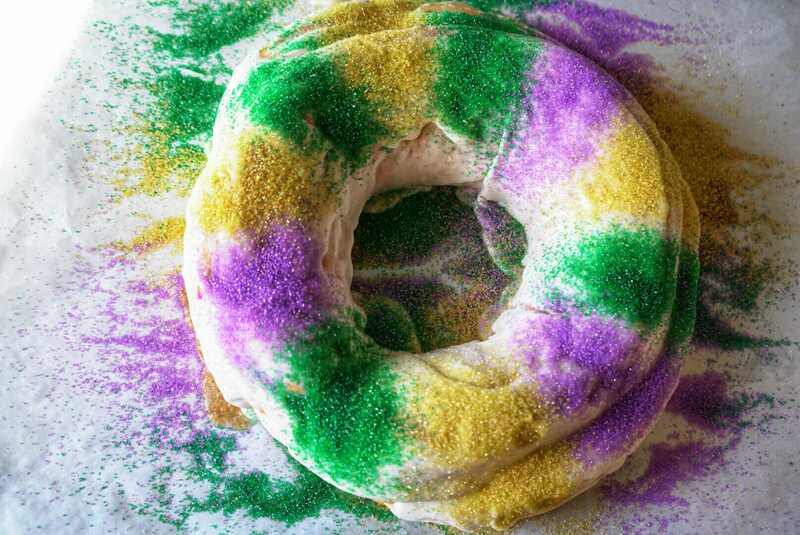 This king cake will yield 18-20 two inch slices. 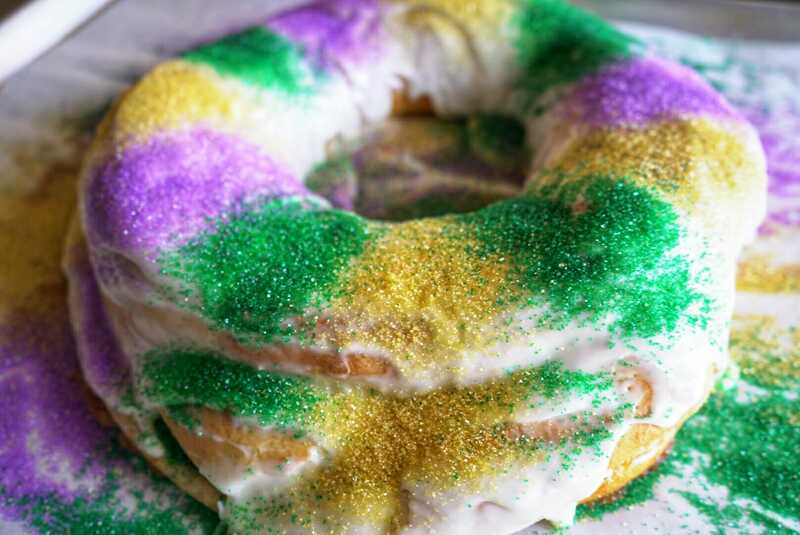 This Dottie’s spin on King Cake will be sure kick your party up a notch. This king cake is filled with a delicious cinnamon sugar filling and topped with our incredible cream cheese icing. It will yield about 18-20 two inch slices. BABY INCLUDED.